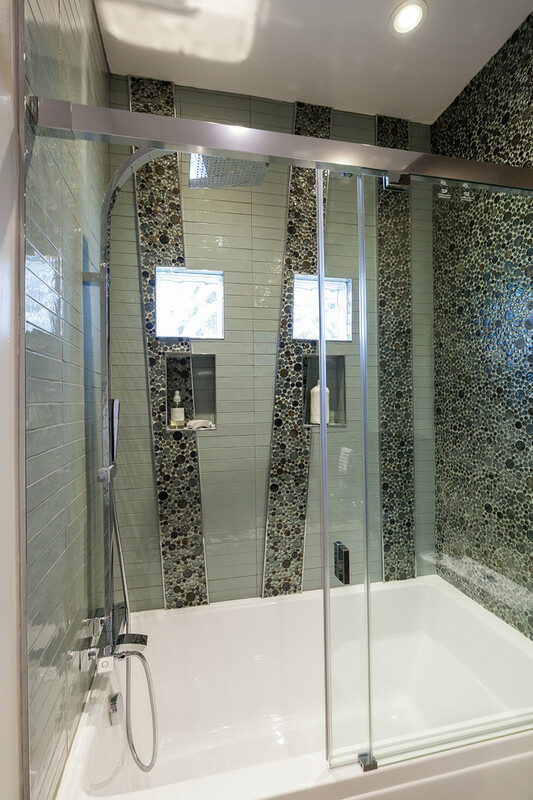 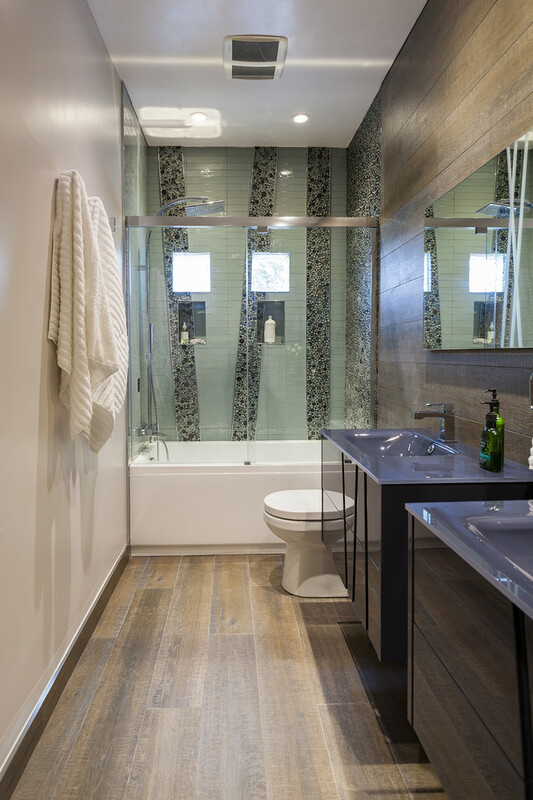 This guest bath is entered into through a rolling barn door with a Solberg Panel with cutouts. 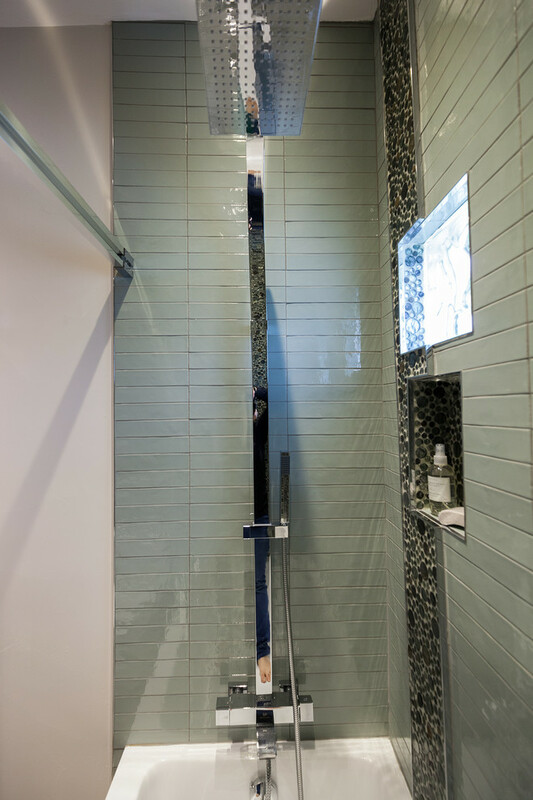 The high gloss lacquered vanities with glass sinks have a bamboo design on the front, so we had to do the bubble tile to mimic the bamboo. 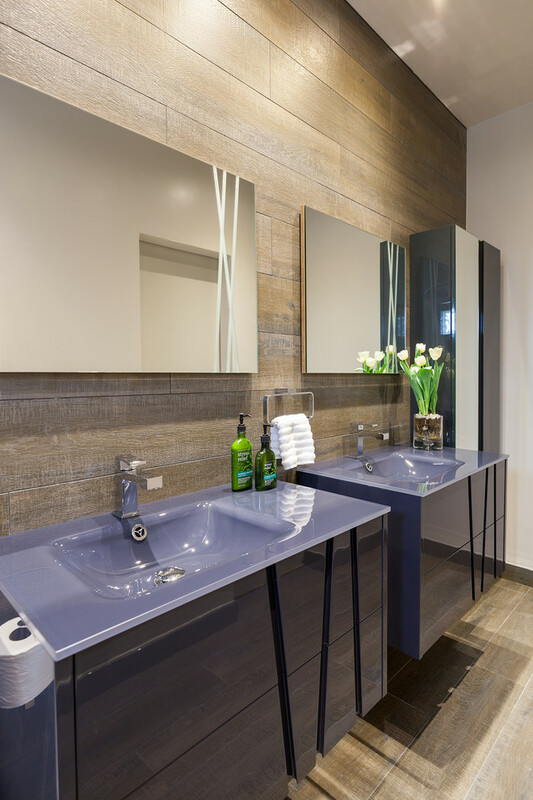 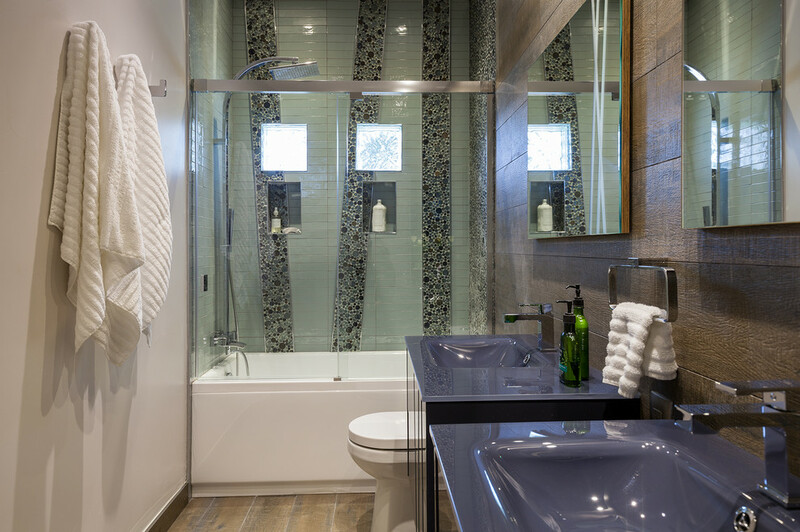 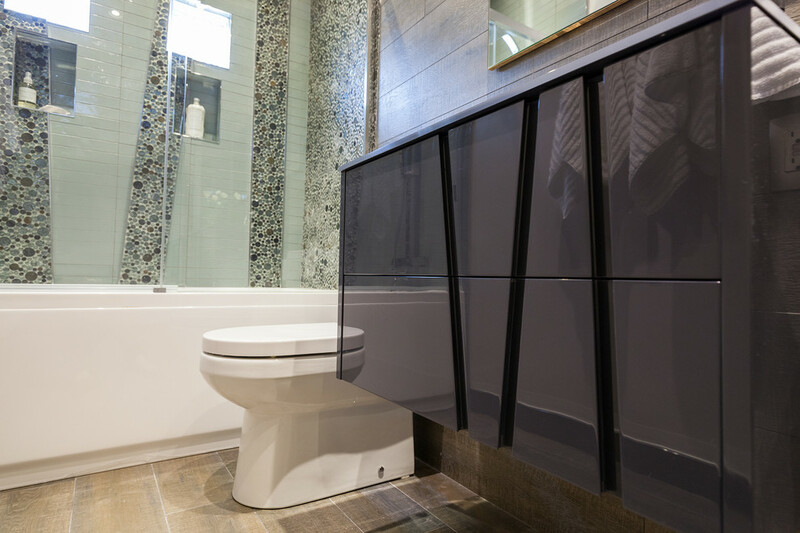 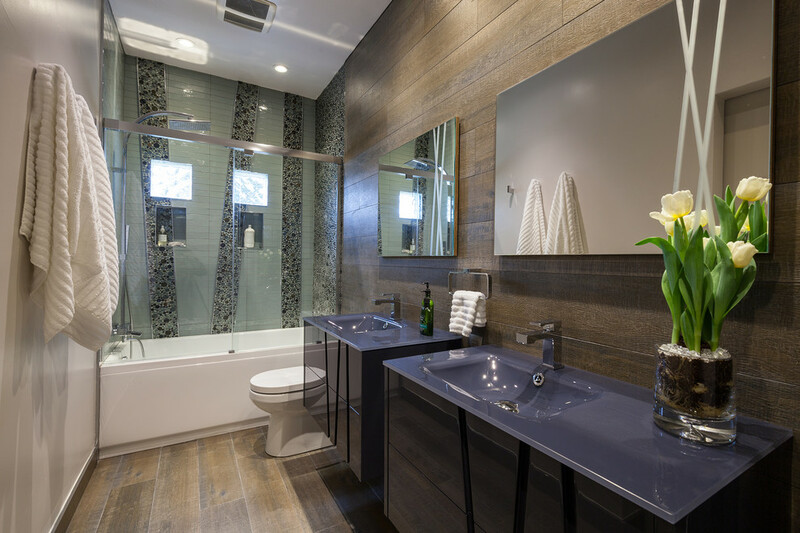 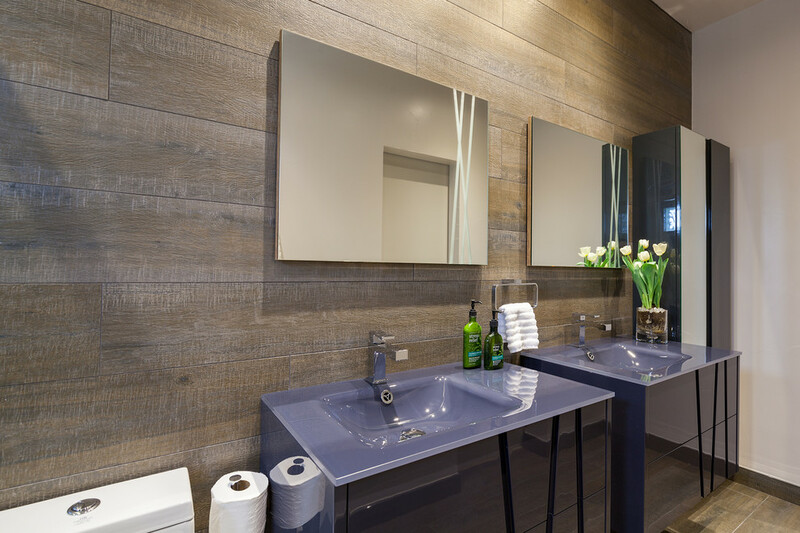 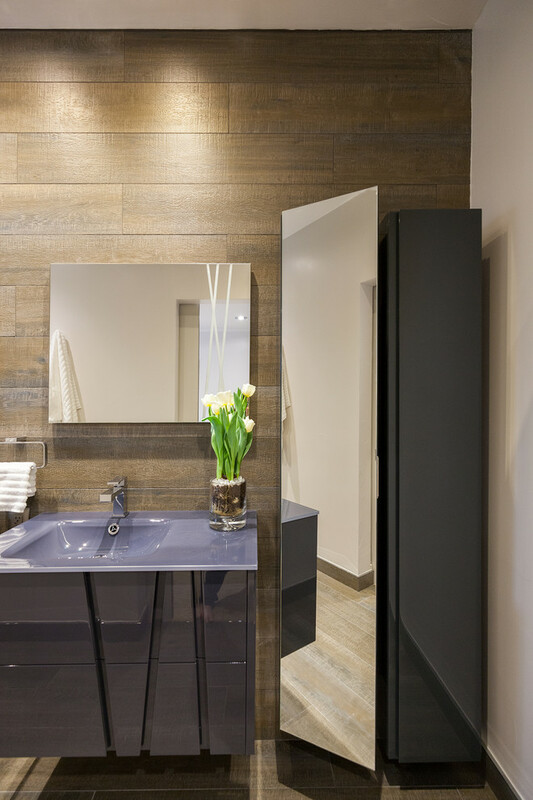 Wood-look tiles on the floor and vanity wall bring warmth into the space.